What is the “Weinstein Effect”? 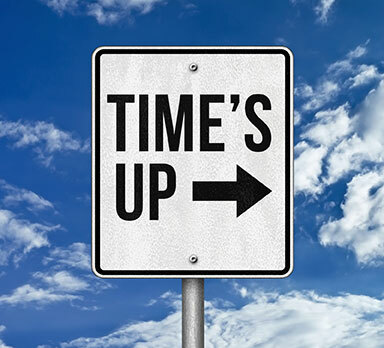 The “Weinstein Effect” refers to an anticipation of an increase in sexual harassment and discrimination claims in the workplace within the upcoming months, and quite possibly years. As many people gain more knowledge and interest in this matter, as well as confidence to speak out when witnessing misconduct, claims are likely to increase. What does this mean for California EPLI? A California EPLI quote specifically covers misconduct and wrongful acts found in the employment process, including acts of sexual harassment or discrimination. EPLI protects you from allegations of current, former, or even potential employees. Depending on the claims and allegations, not only would EPLI come into play but also other management liability insurance coverages. An increase in claims will, as a result, increase EPLI premiums. The “Weinstein Effect “ will also encourage business owners to either sign up for California EPLI, if they do not have this coverage already, or fortify their current coverage. Such ways of doing so are by increasing limits or changing current coverage to a stand-alone policy instead of including it in a package policy. How to sign up for an EPLI quote? With all the many allegations toward Harvey Weinstein and so many others, business owners are seeking protection from any possible claims within their own business. If you do not have EPLI or have questions about it, find a commercial insurance broker for a California EPLI insurance quote today to see if it is right for you! As you may have seen, these claims can be costly in many different ways so EPLI is worth the investment, especially during the times of the “Weinstein Effect,” so you can fully protect yourself and your business! Is California Business General Liability Mandatory? Business owners have most likely come across the term “General Liability” at some point while discussing business insurance requirements. But what is this coverage and is it required for all business owners? California law requires only one type of insurance and that is workers compensation insurance for companies with employees. Thus, general liability is not mandatory for state law but can be needed as you continue your business, whether you are applying for a license or trying to meet the requirements of a client. You will come to find out that although not a California requirement, general liability coverage will open up more opportunities for your business while also serving vital protection to your company in the event of a lawsuit. Let’s take a look at what general liability is, why you need it, and how to apply for a general liability quote! What is Business California General Liability? General Liability protects you, as the business owner, if you are found liable for any injury or property damage suffered by a third party (such as a customer or guest) as a result of your business activities. This coverage includes defense and investigation costs in the event of a suit or claim against you, as well as any settlement payments. General Liability insurance not only protects you but also anyone affiliated with your business including executives, stockholders, directors, partners, spouses, employees, volunteers, and any person or organization you have an indemnification contract with. 1. Bodily Injury- covers a third party’s injury or sickness that your business is found legally responsible for by paying their medical bills, loss of income, and payments to their families in the event of their death. 2. Property Damage- pays for the physical damage or loss of use of another’s property that is deemed as a result of your business or your negligence. However, this will not cover damage of someone’s property that you provide a service to (such as a mechanic working on a client’s vehicle). 4. Personal Liability- protects against claims of non-physical damage to another such as publishing false info and slander. In addition to these coverages, others can be added to fit the needs of your business better such as hired auto & non-owned auto or liquor liability. Talk to an agent to find out what coverages to include in your general liability quote to meet the needs of your specific business. Why Do You Need General Liability? As mentioned before, although general liability is not a state requirement/law, it is still commonly requested by people you work with or who you have to sign a contract with. Thus, general liability quotes can open up opportunities to work with more clients. Clients commonly require general liability from companies they hire because it means that if you are sued, you will still have financial protection against that suit to stay in business and finish the job you agreed to do. It also means that you have the finances to pay for damages or an injury that you may have caused toward your client. They see that you are not as much of a risk to work with and they have the peace of mind that you will take care of any incident that should arise because you are properly covered by your general liability policy and no liabilities will be directed their way. How to Apply for Business General Liability? Most business owners apply for general liability coverage shortly after they start their company as it is usually required for applying for professional licenses and signing a lease for an office space. When applying, business insurance companies will first look at your business’ history of insurance claims and what type of work your business does to assess how big of a risk it is to insure you. If you are in a high risk line of work or have a history of being sued, you may have fewer options for insurance as many insurance carriers may decline to work with you. Fortunately, there are still quote options for high risk businesses so make sure you discuss these with a business insurance agent. California General Liability is not a one-size-fits-all policy and so the coverage you include on your policy should be tailored to meet your business’ specific risks. For example, some companies like a toy manufacture should make sure to have product liability coverage should a child get hurt from one of their toys while other companies could afford to skip this. 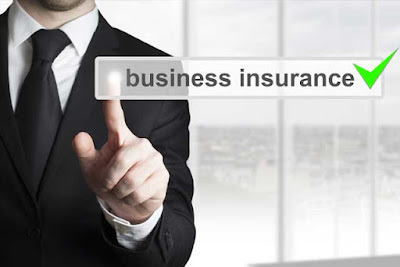 Provide details into the operations of your business to an expert business insurance broker who will be able to help you in customizing your general liability policy. While applying, you also may want to consider if you would like an individual policy for general liability coverage or if you want to include this coverage in a business owner policy or BOP. A BOP is a business insurance package that offers common insurance coverages for small business owners including general liability. Talk to a broker today to discuss which is better for your business. By filling out an application, providing information on your business, and working closely with an insurance broker, you are sure to have great general liability insurance quote options for your business in no time. Contact a broker today to obtain quotes and compare the costs to find the best rate and fullest coverage that you and your business deserve! California Home Health Care and how you can protect yourself! When you are a business owner, particularly of an in-home health care company, your life is constantly about dedication and commitment. You dedicate every effort into running your business so that it may dedicate its success to taking care of the local senior community. With so much devotion you put into your business, you owe it to yourself to protect it at every possible angle. As the in-home health care business continues to grow with most patients preferring treatment and care in the comfort of their own homes, you will continue to see your business and its risks grow within your business. However, a proper and thorough insurance plan will make sure to defend you against those risks, both the common and the industry-specific. Here is what you need to fully insure your California home health care business and why this is essential! Professional Liability: Also known as Errors & Omissions or Medical Malpractice for the medical industry, this business insurance quote is a must. As the name suggests, this insurance coverage will protect your business from lawsuits claiming malpractice, misconduct, or negligence. This not only covers you but also the claims made against your employees. Since a patient’s condition could suddenly change without warning, even the most careful medical practitioners can find themselves in situations where the patients could file a claim against you and your employees, even if you are not to blame. Thus, it is important to be prepared for such scenarios with medical malpractice coverage. Another reason is due to the terribly inevitable: we are all humans and we all make mistakes. You or an employee can make an honest mistake while treating a client which can result in a lawsuit that could threaten your entire business. Fortunately medical malpractice will cover such mistakes. Lastly, it is especially important for business owners within your industry to have this coverage because of the nature of your business operations. Since you will not be there supervising your employee while he or she is treating your patient, you will be less knowledgeable about how that employee is working. Because of this, misconduct will usually be discovered by your client before it is discovered by you, increasing your chances of a lawsuit or claim by a dissatisfied patient. Workers Compensation: This is a California state law for every business. Although this is a common insurance quote to have for any business, it will cover the unique working environments your employees will face. Since your employees will be spending their time in patients’ homes, under which the conditions may not be as safe as you would have them if your employees were working in a facility, workers comp becomes extremely important. The unpredictable nature of where your workers are working and what type of people they are encountering, workers comp will play a large role in insuring your company and your employees’ safety while working for you. General Liability: This coverage will protect you against the non-medical risks that your business is still exposed to. The liability insurance quote includes any bodily injury or property damage lawsuit against your business as well as onsite coverage if you have a separate company office. Depending on your specific business needs and operations, you may want to look into other insurance policies to accompany the ones mentioned make sure you have all the coverage that you need. Also, please keep in mind the common exclusions that the above insurance policies will not cover, such as any acts outside of the business operations, intentional and/or criminal actions. The above-mentioned policies are important to you as an home healthcare company business because of the unique and specific risks that you face. As mentioned, taking care of patients can be unpredictable because you can never fully prepare for their individual response to treatment as well as the mishaps that can occur while working in the patients’ home as opposed to a medical facility whose environment is more regulated, equipped, and occupied with other medical clinicians. That heightens the risk to your clients as well as your employees. A common claim that is made in the home healthcare industry is negligence which, unfortunately can find you liable whether you or an employee were negligent or not because, regardless, the patient can claim to perceive negligence. With all the extra risks you face as well as the common risks any small business is exposed to, the right coverages are not only important but some would deem necessary to keep your business fully protected and running smoothly and successfully. After everything discussed, the risks may seem overwhelming but the right insurance coverage will alleviate your worries about these risks as you will feel confident that your business will be protected so you can focus on the valuable care that you bring to your senior community and the successful business you intend to build. Talk to an insurance broker with the full knowledge and expertise of this industry so they can provide business insurance quotes that meet all your insurance needs. With all the dedication you give to your business and your community, you deserve the same dedication with regard to your California business insurance. During those special celebratory events, guests want to be able to enjoy themselves and the company of their loved ones. 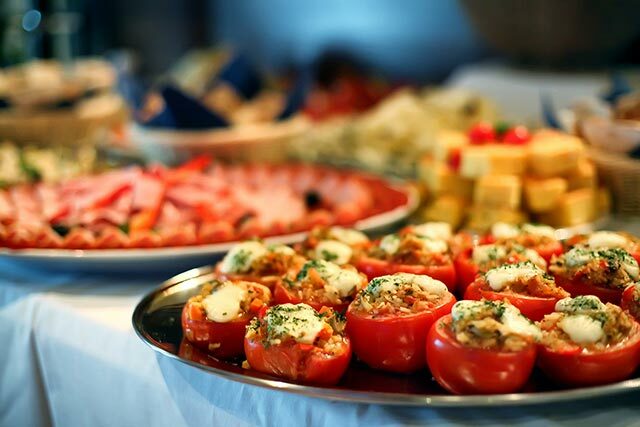 As the caterer for these special celebrations, you want to make sure the event is running smoothly so your guests can do just that. The last thing anyone wants to be concerned with is what can go wrong. Unfortunately, given the many risks in the catering industry, accidents and mishaps can occur. However, if your catering business is fully insured with the right insurance broker, you can feel confident that any claim that should arise will get resolved promptly and thoroughly. Let’s take a look at what it means to be properly insured and what kind of insurance quotes you will need. Business Property- Covers any damage to your office or any other structure you use for your business from fire or theft. In order to obtain the best California business insurance quotes for your catering company, it is crucial to find the right broker who understands your general industry needs as well as your specific needs as an individual business. Call a business insurance broker today so they can get started on providing you with quotes and working hard for you so you can have peace of mind for your business and focus on serving your clients. How a California EPLI (Employment Practices Liability) Insurance policy can help your business! A strong relationship between an employer and employee can be key to a successful business and is an important goal for many business owners. When both are working together as a team, your company runs more smoothly and solid camaraderie can develop. However, when an employer and employee are at odds, that relationship can grow bitter rather quickly. As the employer, you never know how things will transpire with an employee so it is important to be prepared and protected if an argument with one of your workers escalates into a lawsuit, as a lawsuit can potentially affect the well-being of your company. California Employment Practices Liability Insurance (EPLI) can help. 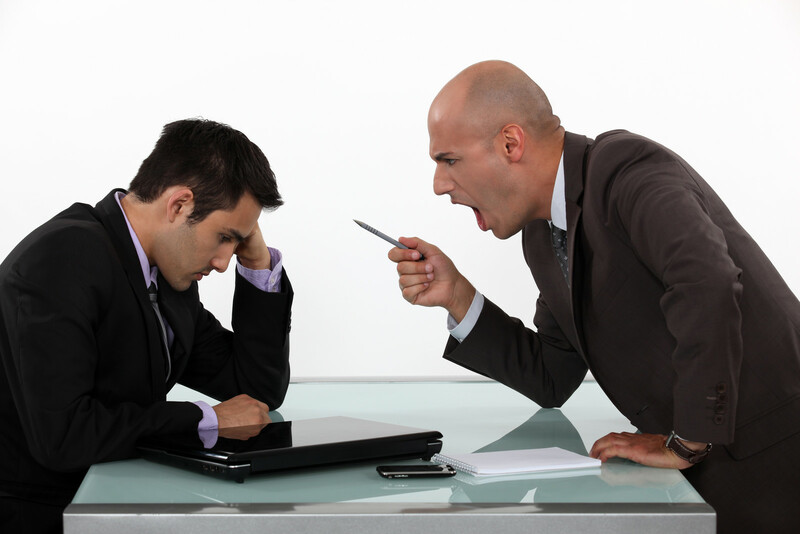 It provides protection for your business for such incidents between you and your employee (s). Although unpleasant to discuss, the risk of an employee going after you and your company for a variety of reasons is always present and needs to be planned for, thus your business must be properly covered. Let’s go over how a California EPLI quote can help and protect you. Not only can current employees file suit against you but also former employees and even potential new hires. This is important to be aware of and understand that regardless of how responsible you are at conducting your business and keeping immaculate records, anyone involved in your company’s employment process can sue you. However, a California EPLI coverage quote defends against suits made from any type of employee so you can feel secure knowing those potential risks will be protected against. Regardless of your business size (whether a small, local business or a national corporation), your company is still at risk and could result in bankruptcy from one employee lawsuit if EPLI coverage is not in place. Since allegations and altercations can occur whether you have one employee or 1,000 employees, all types of businesses can benefit from California EPLI quotes and the security it provides. As you can see, a California EPLI quote is a vital part of any business to ensure you are protected from within. Reach out to an insurance broker about receiving a quote and adding EPLI coverage to your business so you can start enjoying the process of building a solid work team knowing you have the coverage and peace of mind to do so.